To lose a limb through illness or accident is a traumatic experience. Apart from the physical shock and emotional impact, each new amputee has to re-imagine how their future will unfold. The goal posts have shifted and what was taken for granted now has to be reconfigured. This will mean re-thinking the most basic situations from your everyday living environment to how you will support yourself, how to maintain your friendship network and how to face challenges with optimism. In the UK there is help and support in the first instance and groups to encourage you back into a life that is as full and rewarding as you choose to make it. In Africa, it is a very different picture. For the majority, to lose a leg in Africa usually means a constricted life with no work and little means of support. Women often lose their status for marriage and men their means of supporting their family. 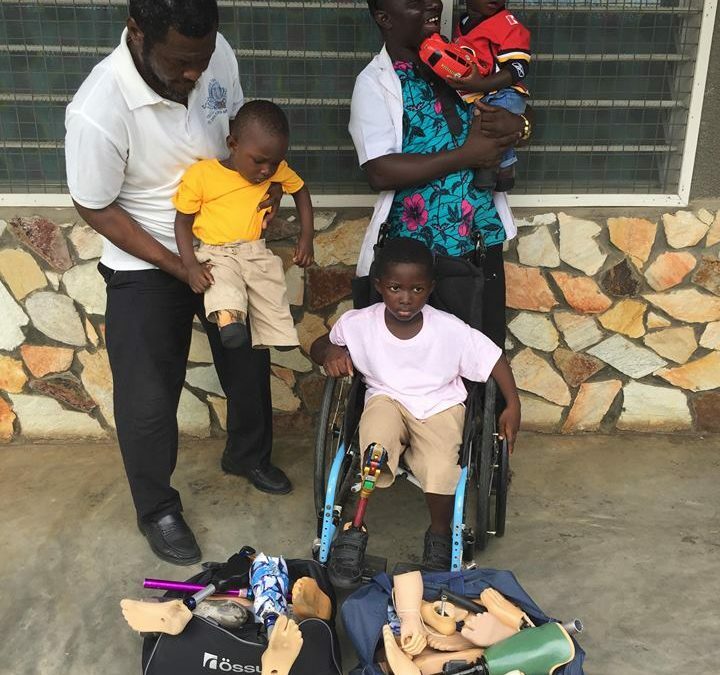 Ghana is a relatively prosperous country but the cost of a prosthetic leg is prohibitive, especially amongst the poorer communities and there are many who face this uncertain and worrying future. Children are particularly disadvantaged as the loss of a lower limb hinders every aspect of childhood and consequently their future adulthood. Many, seen to bring shame, are rejected by their family. The insurmountable difficulties of getting to school mean their education is stopped, their social life is diminished and with no prospect of work they are usually consigned to begging and poverty. This is why the work of Legs4Africa is vital to both the individual and for the country’s future economy. Since 2017 We have shipped 461 legs to Ghana, all generously donated by UK amputees. 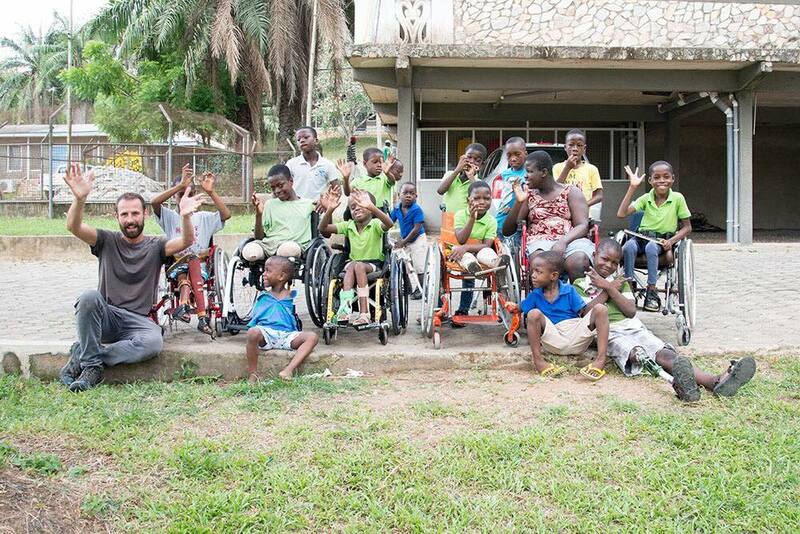 The Orthopaedic Training Centre (OTC) is a not for profit organisation in Ghana that treats disabled adults and children from all over West Africa. They have a team of specialist prosthetists, technicians, nursing staff and teachers. Those needing new limbs are identified and a new leg is assembled to fit the recipient followed up with physical and emotional rehabilitation. In the case of the children, schooling and activities are part of the daily syllabus until the child is ready to re-join mainstream education. Our close relations with the OTC mean that we have been able to focus on their needs and, whilst they always need adult legs, there is a desperate shortage of children’s legs, particularly given that a child’s leg needs to be replaced approximately every 6 months until they stop growing. So we have launched a new project, Little Legs, with the specific aim of raising awareness in the UK of the need of donations of children’s outgrown prosthetic legs. One of the initiatives we have made to support the new project is to commission a short video featuring the journey of a leg donated by one of our young UK supporters which was adapted for a young girl in The Gambia which we hope will highlight the difference that donations of all prosthetic legs can have on an individual on another continent.